Get a low budget service for Free! 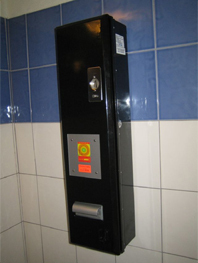 kondoMAX – low budget service vending machines for condoms. 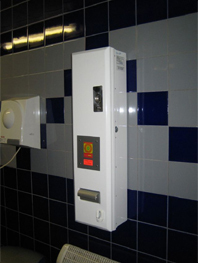 Our company covers all services concerning with operation vending machines for condoms. We offer consultation for person interested operating vending machines. Consultations about suitable offer of service, about suitable placing and the aim of service. Suggestion and equipment of machine. Delivering and assemblage of machines. We deliver machines to you craftmanship machines on places. We teach in your staff for basic maintenance of machines. We operate ours and partners machines. Operation contains regular checks, filling and maintenance of machines. Dirty and damage machines will be replaced and repaired. 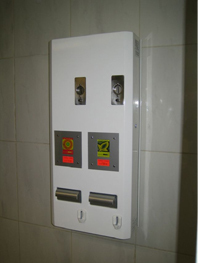 Technical specification for vending machines for condoms UNI I, UNI II.